Pismo State Beach Golf Course is a municipal golf course located in Grover Beach, California. The Course features bermudagrass greens and fairways. The course consists of nine Par 3's and plays to a maximum distance of 1400 yards over 9 holes. 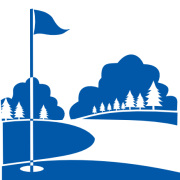 A single set of men's tees and a single set of ladies' tees can make the course a challenge for less experienced players.